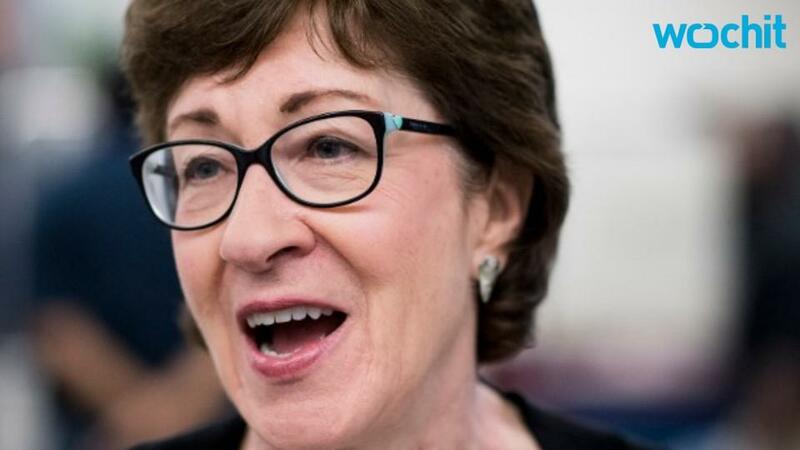 Sen. Susan Collins of Maine has announced that she will not be voting for Doanld Trump, adding herself to the rapidly growing list of high-profile Republicans distancing themselves from their party's candidate. "This is not a decision I make lightly, for I am a lifelong Republican," Collins wrote in an editorial for The Washington Post. "But Donald Trump does not reflect historical Republican values nor the inclusive approach to governing that is critical to healing the divisions in our country." Collins wrote that she feels "increasingly dismayed" by Trump's behavior, and cited three incidents that cemented her decision: Trump's mocking of a reporter with disabilities, his attacks on a Mexican-American judge presiding over a case involving Trump University, and his feud with the parents of a slain Muslim-American soldier after they criticized him at the Democratic National Convention. "It was his attacks directed at people who could not respond on an equal footing — either because they do not share his power or stature or because professional responsibility precluded them from engaging at such a level — that revealed Mr. Trump as unworthy of being our president," Collins wrote. In rejecting Trump, Collins joins notable Republican congressmen, including Sen. Mark Kirk of Illinois, Virginia Rep. Scott Rigell, Rep. Richard Hanna from New York, and Rep. Adam Kinzinger of Illinois. Like Kirk, Collins did not indicate a preference for Democratic candidate Hillary Clinton or any other candidate in the race. Rigell and Hanna both crossed party lines, endorsing Libertarian candidate Gary Johnson and Clinton, respectively. Collins' announcement comes on the same day 50 former top Republican national security officials declared their opposition to Trump's candidacy, signing an open letter in The New York Times warning that Trump would be "the most reckless president in American history."